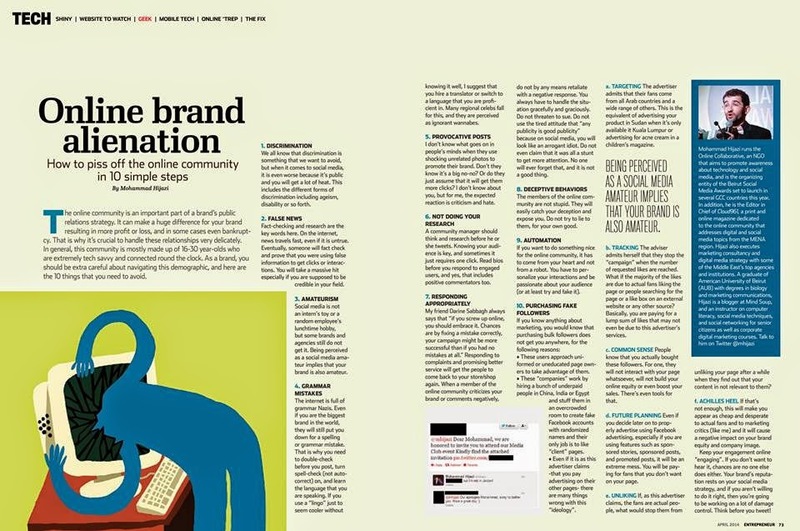 The online community is an important part of a brand’s public relations strategy. It can make a huge difference for your brand resulting in more profit or loss, and in some cases even bankruptcy. That is why it’s crucial to handle these relationships very delicately. In general, this community is mostly made up of 16-30 year-olds who are extremely tech savvy and connected round the clock. As a brand, you should be extra careful about navigating this demographic, and here are the 10 things you need to avoid. We all know that discrimination is something that we want to avoid, but when it comes to social media, it is even worse because it’s public and you will get a lot of heat. This includes the different forms of discrimination including ageism, disability or so forth. Fact-checking and research are the key words here. On the internet, news travels fast, even if it is untrue. Eventually, someone will fact check and prove that you were using false information to get clicks or interactions. You will take a massive hit especially if you are supposed to be credible in your field. Social media is not an intern’s toy or a random employee’s lunchtime hobby, but some brands and agencies still do not get it. Being perceived as a social media amateur implies that your brand is also amateur. The internet is full of grammar Nazis. Even if you are the best brand in the world, they would still put you down for a spelling or grammar mistake. That is why you need to double-check before you post, turn spell-check (not auto-correct) on, and learn the language that you are speaking. If you use a “lingo” just to seem cooler without knowing it well, I suggest that you hire a translator or switch to a language that you are proficient in. Many regional celebs fall for this, and they perceived as ignorant wannabes. I don’t know what goes on in people’s minds when they use shocking unrelated photos to promote their brand. Don’t they know it’s a big no-no? Or do they just assume that it will get them more clicks? I don’t know about you, but for me, the expected reaction is criticism and hate. A community manager should think and research before he or she tweets. Knowing your audience is key, and sometimes it just requires one click. Read bios before you respond to engaged users, and yes, that includes positive commentators too. My friend Darine Sabbagh always says that “if you screw up online, you should embrace it. Chances are by fixing a mistake correctly, your campaign might be more successful than if you had no mistakes at all.” Responding to complaints and promising better service will get the people to come back to your store/shop again. When a member of the online community criticizes your brand or comments negatively, do not by any means retaliate with a negative response. You always have to handle the situation gracefully and graciously. Do not threaten to sue. Do not use the tired attitude that “any publicity is good publicity” because on social media, you will look like an arrogant idiot. Do not even claim that it was all a stunt to get more attention. No one will ever forget that, and it is not a good thing. The members of the online community are not stupid. They will easily catch your deception and expose you. Do not try to lie to them, for your own good. If you want to do something nice for the online community, it has to come from your heart and not from a robot. You have to personalize your interactions and be passionate about your audience (or at least try and fake it). • These users approach uniformed or uneducated page owners to take advantage of them. • These “companies” work by hiring a bunch of underpaid people in China, India or Egypt and stuff them in an overcrowded room to create fake Facebook accounts with randomized named and their only job is to like “client” pages. • Even if it is as this advertiser claims -that you pay advertising on their other pages- there are many things wrong with this “ideology”. The advertiser admits herself that their fans come from all Arab countries and a wide range of others. This is the equivalent of advertising your product in Sudan when it’s only available it Kuala Lumpur or advertising for acne cream in a children’s magazine. The adviser admits herself that they stop the “campaign” when the number of requested likes are reached. What if the majority of the likes are due to actual fans liking the page or people searching for the page or a like box on an external website or any other source? Basically, you are paying for a lump sum of likes that may not event be due to this advertiser’s services. People know that you actually bought these followers. For one, they will not interact with your page whatsoever, will not build your online equity or even boost your sales. There’s even tools for that. Even if you decide later on to properly advertise using Facebook advertising, especially if you are using features such as sponsored stories, sponsored posts, and promoted posts, it will be an extreme mess. You will be paying for fans that you don’t want on your page. If, as this advertiser claims, the fans are actual people, what would stop them from unliking your page after a while when they find out that your content in not relevant to them? If that's not enough, this will make you appear as cheap and desperate to actual fans and to marketing critics (like me) and it will cause a negative impact on your brand equity and company image. Keep your engagement online “engaging”. If you don’t want to hear it, chances are no one else does either. Your brand’s reputation rests on your social media strategy, and if you aren’t willing to do it right, then you’re going to be working on a lot of damage control. Think before you tweet! A version of this article was published in pages 72-73 of Entrepreneur Middle East and 64-65 of Entrepreneur Qatar.